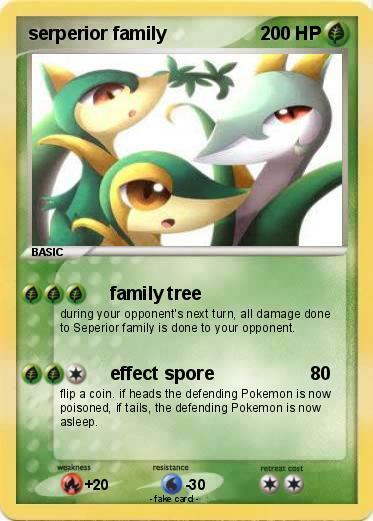 during your opponent's next turn, all damage done to Seperior family is done to your opponent. flip a coin. if heads the defending Pokemon is now poisoned, if tails, the defending Pokemon is now asleep.